Beating drums, colors soaring higher than birds, people sharing sweets, that’s the general scenario if you land between February and March in India. As that’s the time when the whole India warmly welcomes spring and celebrates Holi. The over brimming joy of togetherness makes everyone flush with happiness. Part of which is due to the relief from the humdrum and monotony of everyday existence. How is Holi celebrated in Uttar Pradesh 2019? 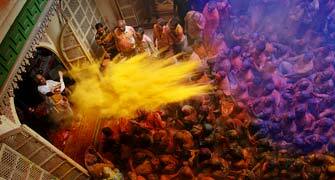 Uttar Pradesh celebrates Holi a little extravagantly than the rest of the India. The Braj region in India, the cities of Uttar Pradesh, mostly in Mathura and Vrindavan make the festivities all the more special. 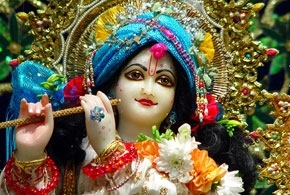 According to some legends, it is celebrated as a divine connection of love between Lord Krishna and Radha. 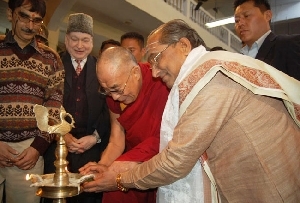 Therefore, people re-enact the fun-play of these divine lovers. Apart from play of colors, exchange of sweets and other fun, there are also unique rituals followed only in Uttar Pradesh. 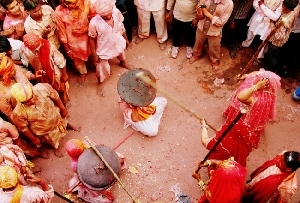 Barsana celebrates the festival with a unique ritual of lath-maar practice where women hit men with sticks for fun. People indulge in play of colors, dry and water. Sweets, music, dance and fun make the festival even more special for all to have fun with friends and families. 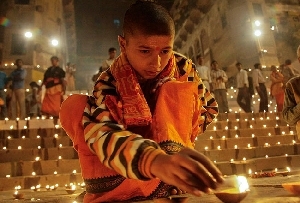 Rituals are a way to make festivals more meaningful and fun to enjoy. A day before Holi, a bright bonfire is lit at almost every place in Uttar Pradesh, referred to as Holika. It symbolizes the triumph of good over evil. According to legends, the demon king Hiranyakashyap had conspired with his sister Holika to kill his son Prahlad for him being a big follower of Lord Narayana. However he was not successful in his mission. His son was saved by the grace of God whereas his sister was consumed by the fire. All the people participate to light the fire. A pot of new barley seeds is kept under the pyre. When the fire burns out, these seeds are consumed by the people. Often predictions are made about the future harvest on the basis of the condition of seeds or the direction of the flames. The ashes of this fire are considered very auspicious and often either the ashes or the smoldering fragments of wood are taken back home. They light their fires at home with these embers and keep the ashes which they believe will protect them against diseases. 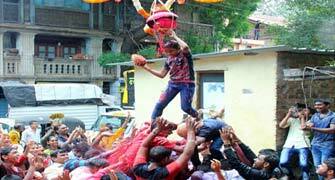 On the day of the festival, the air of almost every town is dipped in various colors like gulaal. Youngsters apply it on each other and on the feet of the elders of the family. Pichkaris (water guns) of various shapes and sizes crowd the markets. The sight of everybody pouring color on each other and whole heartedly participating in the mirth makes a perfect picture of happiness. The delights of sweets like Gujiya, mathri and laddoos are associated with the festivities. Bhang or Cannabis in drink form is also consumed by the people. 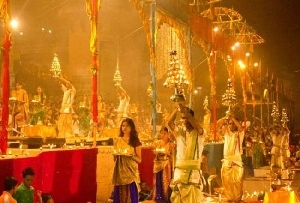 In fact, on the banks of the River Ganges, people sit drenched in colors and prepare the drink and this has a very intoxicating effect. The festival of colors is celebrated on the full moon day in the month of Phagun as per the Hindu calendar. It generally corresponds to the month of March in the English Calendar. In 2019, the great Indian festival falls on March 21. Uttar Pradesh is well-connected by air, rail and road. While there are airports dotted all over the state, it also has connectivity with Delhi. 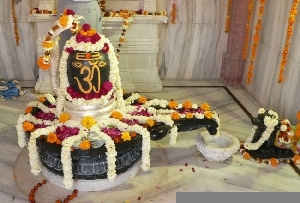 Chaudhary Charan Singh International Airport in Lucknow and Lal Bahadur Shastri International Airport in Varanasi have frequent connectivity from the cities in India and other places in the world. Uttar Pradesh is well connected with railways. Almost every city and town has frequent trains connecting it to various places in India. Well-connected roads lead to Uttar Pradesh from all over India, National highways, expressways connected from major cities of India, including the grand Yamuna Expressway from Delhi. 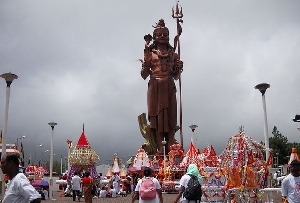 The state of Uttar Pradesh thrives with tourist and therefore offers a wide range of accommodation options. From 5-star hotels, heritage hotels, boutique resorts, budget hotels and more, there is never dearth of accommodation in Uttar Pradesh. 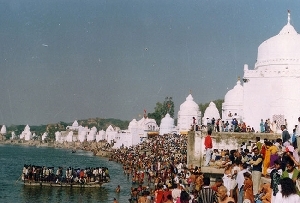 Holi celebrations in Barsana are among the most unique festivities in India. In the spirit of fun, smearing of colors, drenching in water and mock fights. According to legends, Barsana was the birthplace of Radha, the consort of Lord Krishna. 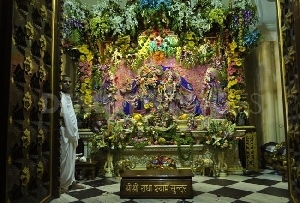 As the fables narrate, the lord used to come from his home-town Nandgaon to tease Radha and the Gopis. The tradition continues till date. 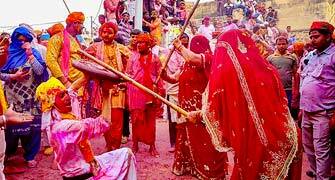 Men from Nandgaon come to Barsana to play and the women greet them with sticks (lathis). 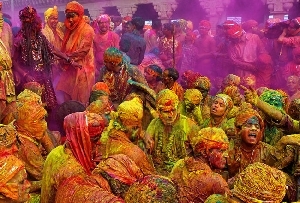 The unique spectacle is known as Lathmaar holi. 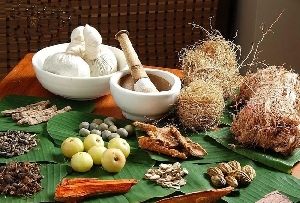 The abundance of sweets, bhang and the festive spirit enhance the thrill. 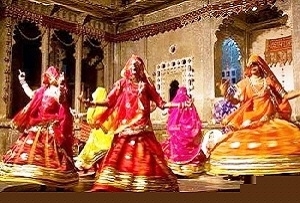 Rajasthan, like the rest of India, dips in the celebration of Holi by welcoming the spring season. Call it the festival of love or colors the state knows how to mix ritual and other ancient traditions with a final touch of royalty. What's even unique is the way different parts of the state giving the festivities their own different vibe. While Mali and Gair Holi are distinct to Ajmer, Brij Holi to Bharatpur, Bikaner rejoices the colorful time of the year by playing Dolchi Holi. Gujarat celebrates Holi with a unique fervor. 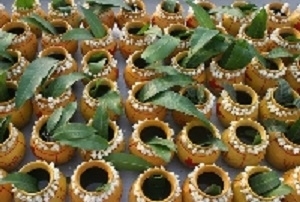 The most famous tradition is the breaking of the earthen pot full of buttermilk. This ritual comes from the tales where Lord Krishna used to tease and break pots of the milkmaids. A pot full of buttermilk is tied high on a rope. To get to the heights, people form a human pyramid. While the young boys form the pyramid, people throw colored water on them. 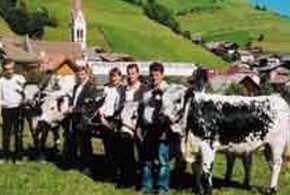 There are competition among groups to win this prize. 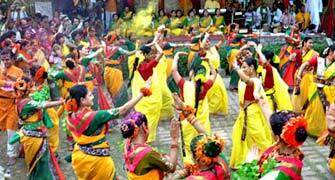 During the festival people rejoice with the play of colors, gorging on sweets while drenched in festive spirits. Drenched in the mesmeric charms of spring, Holi in Santiniketan is a celebration of love, fun and art. The onset of the season of spring calls for the occasion of the Basant Utsav. The loving abode of Rabindranath Tagore, Shantiniketan is seen transformed in festive mood as he had started the ritual years back. The very ambiance is of fun and the oncoming delights of the spring. 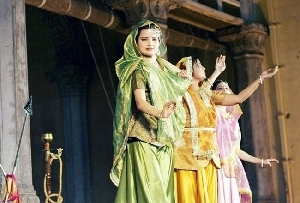 Colorful traditional attire, play of dry colors, dance, music, sweets and more create wonderful joy. The occasion is made special with the tunes of Baul singers and their melodies hums of 'Ektara'-the musical instruments.